Evening bike ride with a dinner in the field and some Astronomy to finish the evening. 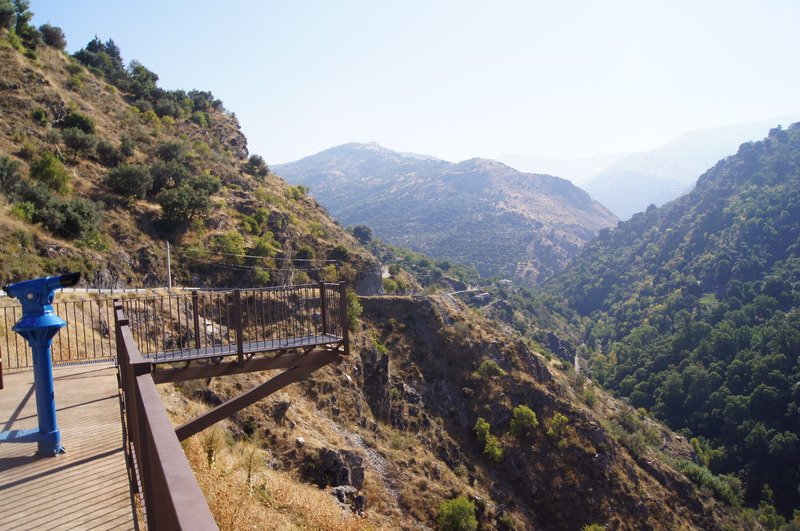 We propose a different afternoon with a bicycle route that can go from a gentle ride along the route of the old tram, that went up from Granada to Sierra Nevada. Starting from its lodging in Güéjar Sierra we will pedal until we arrive at the route of the old tram way that borders the Maitenas river, using this route to go through San Juan Barranco, where the last stop of this tram is located. This route is a very significant route and intrepretative of the landscape; where accompanied by a guide you will learn the history of the Tram and the different species of plants that can be found in the route. We recommend eating in one of the different restaurants that can be found during the course of the river or on the rest of the route, to enjoy its excellent kitchen and the gentle symphony of the water descending by its course from the mountains. And to finish, approach one of the viewpoints of Güéjar Sierra to glimpse the starry sky. Watch the stars closely. You can do it from the viewpoint of the canals or from the viewpoint of Los Alixares. The prices of the activity include the rent of the Bike and helmet, guide, insurance of civil responsibility and of accidents. Includes a menu at one of the restaurants on the route. Minimum number of people to book 2. 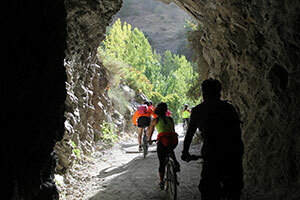 You can enjoy Güéjar by bike via many different routes. Enjoy the possibility of getting to know the village and its surroundings. Visiting some of the viewpoints of Güéjar at nightfall and see the stars and the reflection of the moon in the water of its reservoir and rivers, is a sight to behold. Enter our blog and find out about everything that is the past.